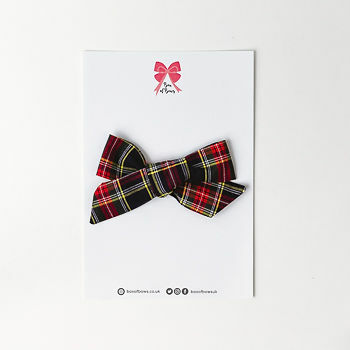 Our Izzy bow is the most beautiful of tartan prints. Free delivery. Individual bows are shipped in a pink bag.